The twelfth installment of the World of Teddy Ruxpin video collection, which invites kids to join in Teddy Ruxpin's action-packed adventures, World of Teddy Ruxpin, Vol. 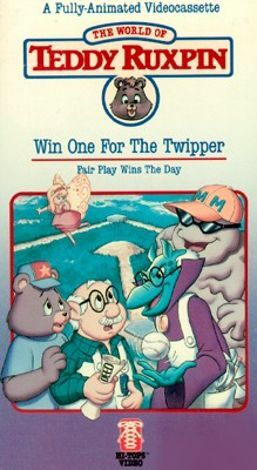 12: Win One for the Twipper finds Teddy Ruxpin engaged in a game of Grungeball with his evil enemy Tweeg. Tweeg, who has disguised himself as Professor Tweeter, pretends to be a well-meaning friend. Meanwhile, he plots to claim the deed to Newton Gimmick's house.